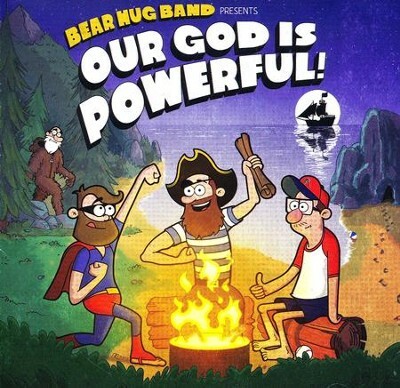 Your kids will feel God's loving embrace as they listen to this lively band singing Bible-focused lyrics! Their 13-song album includes "Psalm 139," "Still, Small Voice," "New Creation," "Hope," "Sing a Melody," "I Will Trust Him," "Jesus Wept," "No Need to Fear," "Powerful," "Hey, Peter," "Wake Up, Jesus," "Broken Through," and "Beach Ball." I'm the author/artist and I want to review Our God Is Powerful!.